Did you know that you can make a contribution to a pension plan before the 31st October each year and claim tax relief for the previous year? So what is the 31st October deadline and what exactly does this mean? 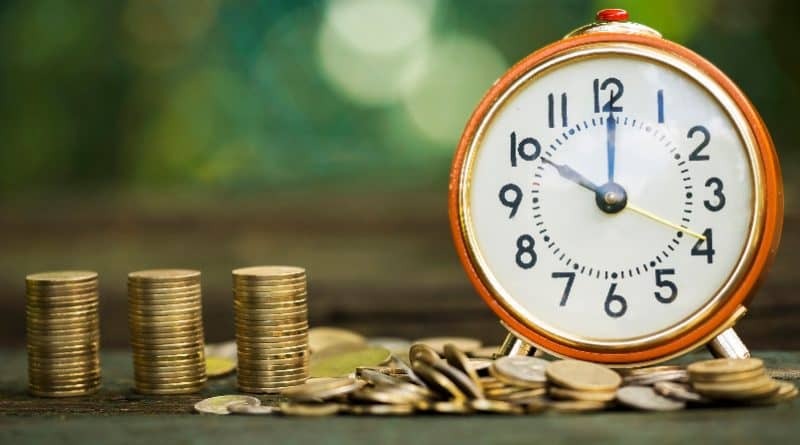 It means that 31st October (or 14th November 2018 if you are one of the 90% of us who use the Revenue Online Services (ROS) to pay your tax bill) is the final date on which you can claim tax relief on backdated pension contributions – In short – it represents a last chance to get some money back from the tax man for 2017! Let’s imagine you are a self-employed person who has a tax bill of €10,000 to pay for 2017 and preliminary tax of €10,000 for 2018 by 31 October 2018. You could write a cheque to Revenue for €20,000 and job done. Imagine instead, you write a cheque for €5,000 for your pension. This will have the effect of reducing last year’s tax bill by 40% of that €5,000 (i.e. €2000). As preliminary tax for 2018 is 100% of last year’s bill, you also reduce the preliminary tax by the same amount (i.e. €2,000). 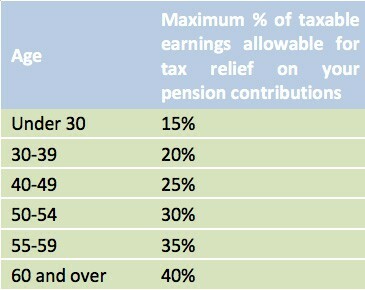 The following table shows the percentage of your income that you can get tax relief on when contributing to a pension plan, depending on your age and subject to a current maximum annual earnings amount of €115,000p.a. If you are a self-employed individual or an employee with no pension provision in place and are employed within the construction and related industries, CIRT (Construction Industry Retirement Trust) can provide you with a flexible pension arrangement to meet your retirement planning needs and allow you to avail of the tax reliefs mentioned above. CIRT has been meeting the needs of self-employed individuals and employees with no pension provision in place, for over 20 years. CIRT was designed exclusively for the construction and related industries and is managed by CPAS, a registered pensions administrator. With no initial charge on new contributions and ongoing fees depending on the fund you are invested in, CIRT offers a low cost solution to your pension planning. A wide range of funds are available to suit each individual’s needs. The funds are managed by Irish Life, one of Ireland’s leading pension fund managers. With a transparent charging structure, clear investment approach and a specific support team in place, CIRT offers a straightforward solution to individuals planning their retirement. Full financial planning needs can also be met through our relationship with Milestone Advisory*. Saving for your retirement is still incredibly tax efficient. As well as the tax relief previously mentioned, the funds in which your contributions are invested currently benefit from tax-free growth, unlike most saving methods which may be liable for DIRT Tax of 37% or Capital Gains Tax of 33%. This means pension funds benefit from being able to reinvest the non-taxed returns to generate higher future returns and should build up quicker than a fund that has to pay tax on its investment returns. Also, when you retire you can take part of your pension fund as a tax-free lump sum. The amount you can take depends on the type of pension plan you have in place. It is important to remember that your regular pension income or Approved Retirement Fund ARF may be subject to tax. Our circumstances change as we move through the different stages in our life from capital accumulation in our working life to capital drawdown in our retirement years. Contributing to a pension continues to make financial sense and it is more reliable than waiting for that Lotto win!